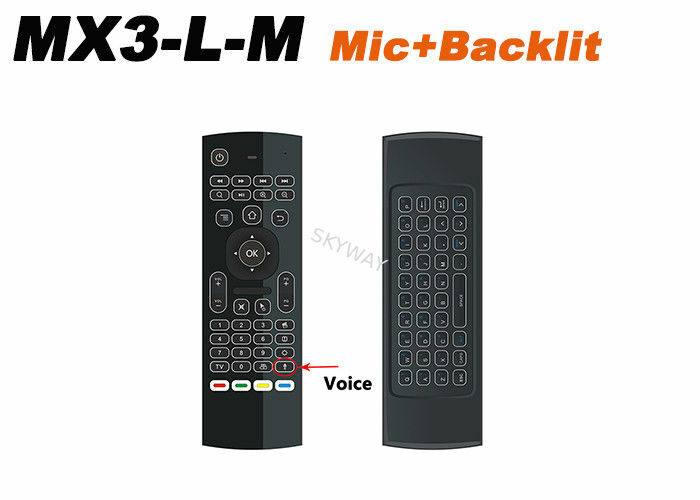 MX3-L-M Wireless keyboard 2.4G remote control bring IR Learning function.Air mouse is a multi-axis device which integrates the key functions of a keyboard,it supports Android TV BOX, Networked set-top box, Mini PC, HTPC. - The Air mouse can't work on Samsung and LG TV. How to use IR learning? Steps 1. Press "TV" button for 3-5 seconds, the Red indicator from fast flash to long bright. Steps 2. 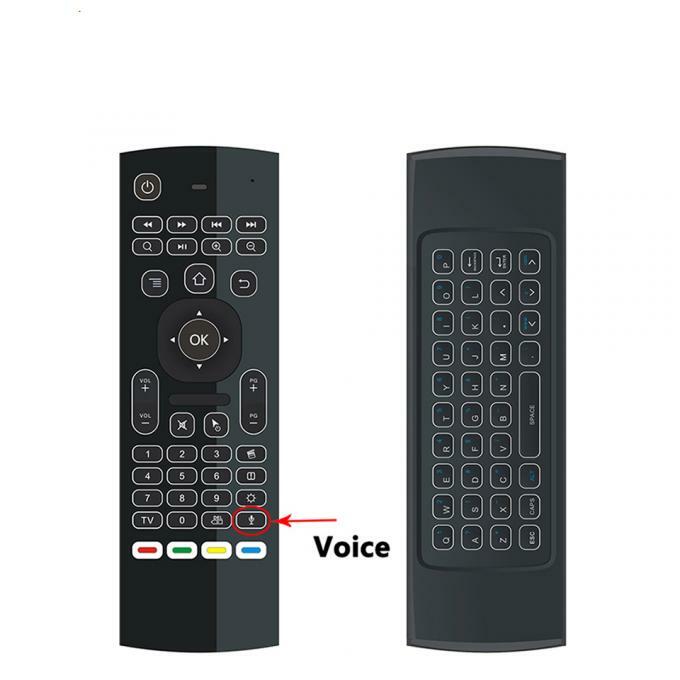 Let tv box remote lighting tube and MX3 remote control be in the same horizon(the distance between them not over 3cm), then Press tv box remote "Power" or "Volume + " button one time. the MX3 remote control indicator light long bright to fast flash. explain the success of remote control. wait 5 seconds can exit. Steps 3. Press TV to exit IR learning mode. How to use Voice Function ? - There is function for voice search based on IE.